Amy 2 hostel Hue with modern style will be a good choice for your staying in Hue city. One of the best hostels I’ve stayed in! The staff is very friendly, nice bar and hangout area, comfortable beds with a curtain, location is perfect. Very fast laundry service and it’s actually properly clean and smells amazing. Would definitely recommend this place and it’s crazy-cheap including breakfast and breakfast-on-the-go! Amy 2 is such a great hostel! Tucked around the corner of the busy streets of Hie, Amy 2 is the perfect spot to call home! The staff is super helpful and kind. The breakfast is free, yummy, large portions too! I stayed in the 4 bed female dorm and it was very clean. The shower and toilet also very clean. The rooms felt very safe and the area was safe. Lockers a little snug but fit my big north face bag. Also there is a yummy and very cheap cafe next door called Cay! Stay here if you go to Hue! This was the comfiest hostel I’ve stayed in all trip, I was in the 5”4 bed female dorm which was clean, spacious, comfy, great beds and a fab shower.. the bed linen was clean, towels good, nice breakfast included AND there were comfy chairs in the room (bonus when you’re top bunk and need a seat). The lockers were huge and overall security was great. Be careful when taking the city tour as there are more fees in the bus! 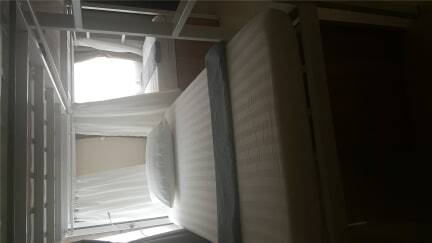 Great hostel - super clean, friendly and helpful staff, well located and clean and comfortable beds. Lovely staff who helped me out when i had passport issues! Clean hostel, comfy beds and big lockers for your stuff! Location is very good - right by the town center. Clean beds and room with big lockers. Staff are very helpful with planning your trip but a bit too pushy in selling their services compared to other hostels ive stayed at. Overall a nice place. Staff were super friendly. Helped us book our bus. Location was good! Walking distance to shops, restaurants, cafes. At night the street turns into a walking street only which was cool. Bunks are 3 levels. Overall good stay for one night. Front desk staff were helpful but a little pushy on selling you a tour or motorbike rental. Beds didn’t all have plugs or lights and curtains don’t offer much privacy. Good sized locker, clean bathrooms and decent breakfast though. Staff were friendly. But a few things that annoyed me. The rooms downstairs look nothing like they do in the pictures! the one I stayed in was cramped and full of mosquitos. I couldn’t believe the rating of the hostel was so high! We wasn’t told on arrival we got free breakfast and I realised the day I left! Lastly I gave my laundry to reception straight after I found bed bugs in my bed and had to move room, and they didn’t even do my laundry complimentary... I had to pay.